Giving A Groom Speech? 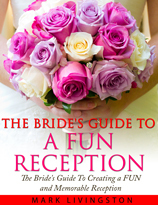 FREE Report reveals..
There’s one thing you can count on at your reception: The guests and your beautiful bride will be waiting in anticipation to hear your Groom Speech. To help you prepare for one of the keynote moments of the reception, we’ve compiled a Special Report,The Groom’s Speech Guide. • 9 special people you should thank. Miss any one of them and they’ll be disappointed…even offended. 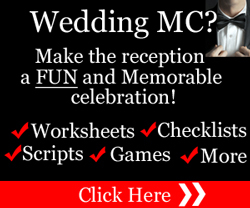 • 5 little-known tips every groom should know to help you deliver a flawless presentation. • Nervous speaking in front of a large group? Overcome your worst stage fright fears with this one resource we reveal. You’ll not only be guided through the speech making process you’ll also know how to speak with greater poise and confidence. • 4 special toasts you can make to honor friends and loved ones. Plus one surprise toast that will make you look like a hero! • Overwhelmed and don’t know where to start? Find out how other Grooms have done it. We’ll show you where you can get a complete package of ready-made, “fill-in-the-blank” speech templates that you can use to create your own personalized speech. PLUS…toasts, jokes, and quotations – the perfect ingredients to make your presentation sparkle. 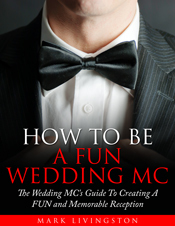 Get off to a fast start with The Groom’s Speech Guide by your side. Don’t disappoint those closest to you on your special day by being unprepared. Access your FREE copy right now. 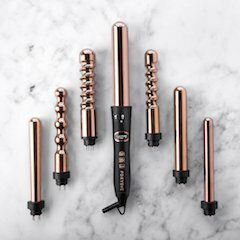 Click on the link below for immediate access.